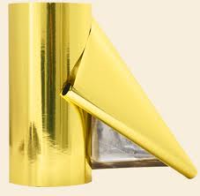 Foil Bag Roll Stock - Metallized Foil Bag Roll Stock 11.875"
Foil Bag Roll Stock - Metallized Foil Bag Roll Stock 13"
Foil Bag Roll Stock - Metallized Foil Bag Roll Stock 14.25"
Click Here Foil Bag Roll Stock - Metallized Foil Bag Roll Stock 15.5"
Click Here Foil Bag Roll Stock - Metallized Foil Bag Roll Stock 19.25"
At Boatman Marking we offer a variety of foil bag roll stock that come in different colors and sizes. In order to remain efficient, automatic packaging is essential when packing large volumes. Our metallized foil bag roll stock is available in the most commonly used materials and sizes and is compatible with most form-fill-seal machines. This Foil Bag Roll Stock is 9.5" in size. 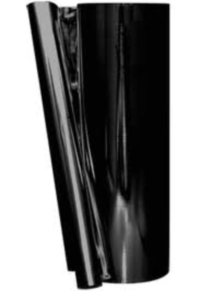 Foil Bag Roll Stock - Metallized Foil Bag Roll Stock Black 9.5"
Foil Bag Roll Stock - Metallized Foil Bag Roll Stock Silver 9.5"
At Boatman Marking we offer a variety of foil bag roll stock that come in different colors and sizes. In order to remain efficient, automatic packaging is essential when packing large volumes. Our metallized foil bag roll stock is available in the most commonly used materials and sizes and is compatible with most form-fill-seal machines. This Foil Bag Roll Stock is 11.875" in size. 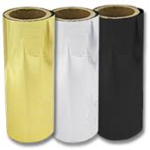 Foil Bag Roll Stock - Metallized Foil Bag Roll Stock Gold 11.875"
Foil Bag Roll Stock - Metallized Foil Bag Roll Stock Silver 11.875"
At Boatman Marking we offer a variety of foil bag roll stock that come in different colors and sizes. In order to remain efficient, automatic packaging is essential when packing large volumes. Our metallized foil bag roll stock is available in the most commonly used materials and sizes and is compatible with most form-fill-seal machines. This Foil Bag Roll Stock is 13" in size. 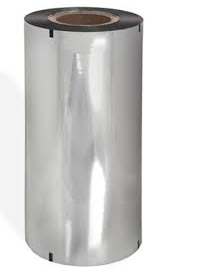 Foil Bag Roll Stock - Metallized Foil Bag Roll Stock Silver 13"
Foil Bag Roll Stock - Metallized Foil Bag Roll Stock Gold 13"
Foil Bag Roll Stock - Metallized Foil Bag Roll Stock Silver 14.25"
Foil Bag Roll Stock - Metallized Foil Bag Roll Stock Gold 14.25"
Foil Bag Roll Stock - Metallized Foil Bag Roll Stock Silver 15.5"
Foil Bag Roll Stock - Metallized Foil Bag Roll Stock Silver 17"
Foil Bag Roll Stock - Metallized Foil Bag Roll Stock Silver 19.25"